I read your article “Marie Stopes Reformer”, written by Harry Young and published in October 1973 with interest. What surprised me was that the article showed such little respect for Dr. Halliday Sutherland. He certainly deserved it, because he stood up for poor and working class people. Let me explain. In 1911, Sutherland was a tuberculosis pioneer who was the medical director of the St. Marylebone Dispensary for the Prevention of Consumption. As you may know, tuberculosis was a disease which afflicted around 220,000 people in Britain at the time (70,000 deaths and 150,000 disabled). It afflicted the poor around three times more than the rich. His pioneering work led to the establishment of a school for tuberculous children in the Bandstand in Regents Park, as well as producing Britain’s first public health cinema film. Now there’s a plan! Improve Britain’s health using nature’s method (it sounds more acceptable than “death”). So it fell to Sutherland to refute Pearson’s findings in an article in the British Medical Journal in 1912 (“The Soil and the Seed in Tuberculosis). 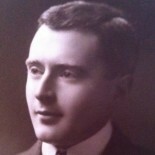 While Sutherland’s opposition to eugenics started when he was an atheist, he became a Catholic in 1919, most likely attracted by the Church’s opposition to eugenics and Malthusianism. When Stopes came to prominence, with her pronouncements to solve Britain’s problems by urging the compulsory sterilisation of poor and working class people, Sutherland opposed her as well. This drew a writ from Stopes and the legal battle threatened him with ruin. The Servile State, a concept that Sutherland borrowed from Hilaire Belloc, was a state in which the poor were prevented from having children and had no societal role other than to work. So there you have it. From the tone of your article, Young appears to have been disdainful of Sutherland’s Catholicism. He and his religion are nonetheless deserving of respect, because when his time came to “man the barricades” and stand up for the weak, he did, supported by his Church. Rather than sneering at him, perhaps the article should have been thankful that he and others like him succeeded in their opposition to eugenics, because otherwise we would today live in a very different society. Presuming, of course, that you would be living in it.